The Windsor, Ont. writer's latest book, The Journey of Little Charlie, is up for the annual $10,000 U.S. literary prize. 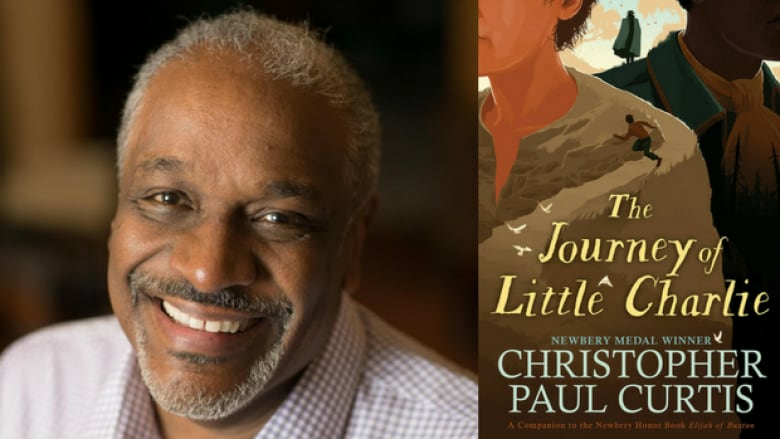 The Journey of Little Charlie by American-Canadian writer Christopher Paul Curtis is a finalist in the young people's literature category for the National Book Awards, an annual prize celebrating literature in the U.S. Winners of each category — young people's literature, translated literature, poetry, fiction and nonfiction — will receive $10,000 U.S. (approx $12,965 Cdn). Set in 1858, Curtis's novel follows a 12-year-old boy named Charlie who agrees to track down thieves in order to settle his debts with a cruel man. But when Charlie learns that the thieves he's hunting are people who have escaped from slavery, his conscience intervenes. Curtis is a Newbery Medal-winning children's writer who grew up in Flint, Mich. and now resides in Windsor, Ont. The Journey of Little Charlie is also currently a finalist for the Governor General's Literary Award for young people's literature — text. The other finalists in the young people's literature category are The Poet X by Elizabeth Acevedo, The Assassination of Brangwain Spurge by T. Anderson and Eugene Yelchin, The Truth as Told by Mason Buttle by Leslie Connor and Hey, Kiddo by Jarrett J. Krosoczka. Notable nominees in other categories include Lauren Groff, a fiction finalist for the short story collection Florida, Terrance Hayes, who is on the poetry shortlist for American Sonnets for My Past and Future Assassin, and Olga Tokarczuk and translator Jennifer Croft, who are finalists in the translated literature category for Flights, which won the Man Booker International Prize earlier this year. Read about all the National Book Awards finalists here. The winners will be announced on Nov. 14, 2018.